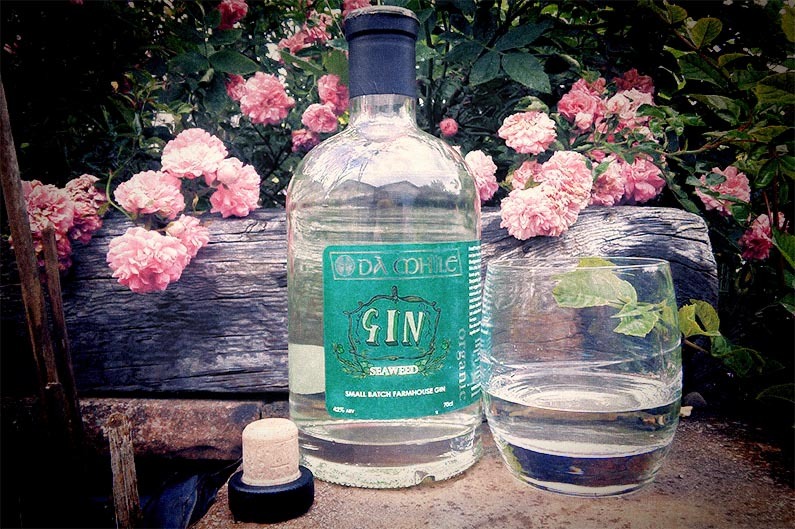 A very unique gin from Welsh distillery Dà Mhìle. Dà Mhìle (pronounced da-vee-lay) translates as ‘2000’. To me, however, it means ‘impressive distillery’. I’ve only tried one of this Welsh distillery’s products, Seaweed Gin (42% ABV), but the quality in that is enough to show that they possess some very fine knowledge and gin-making skills. The seaweed makes a world of difference to this gin. It infuses the spirit with the aroma and tastes of the salty sea, much like Old Pulteney whisky does. There’s even a hint of smokiness in there. It still has the floral & perfume aroma that you’d expect of gin, but much more besides. It’s unusual, but has made a new admirer here. I’m more of a whisky fan, normally, but this has completely won me (and my father-in-law, another whisky lover) over. There’s a slight green hue to the drink which adds to the unique aspect of the drink. Whether you’re drinking it with just ice, with tonic or lemonade, or in a cocktail, this would be a fantastic addition to any cocktail cabinet. This makes me very optimistic about any other products that the Dà Mhìle distillery produce! 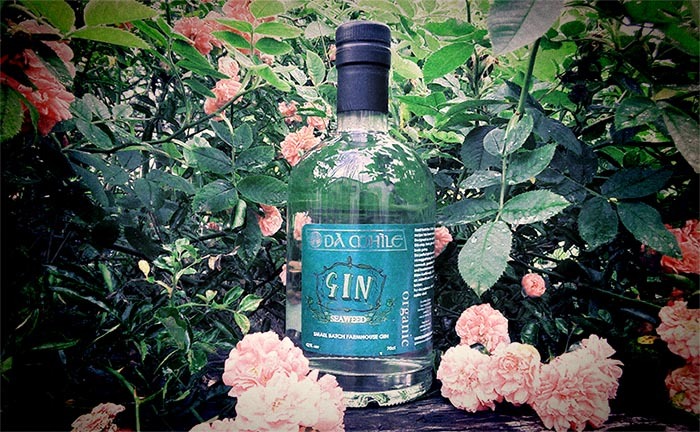 Dà Mhìle are giving one lucky winner the chance to win a bottle of this very unique gin. Simply enter using the widget below before 31 August 2016 at midnight to be in with a chance (and return for extra daily entries too). Good luck! 1. Closing date is 31 August 2016 at midnight. 2. 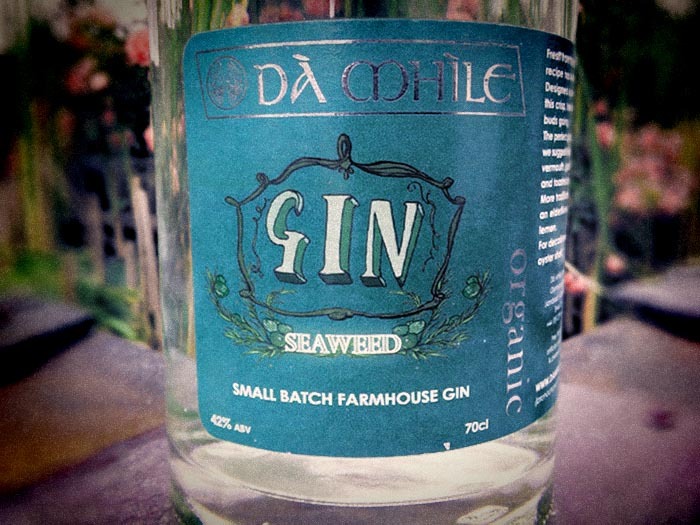 The prize is one bottle of Dà Mhìle’s Seaweed Gin. Previous Article We say #hellogoodtimes in Edinburgh! East coast of England… can’t bearemember old Cleethorpes for a proper seaside experience! Cornwall has the best beaches. Llandanwg Beach which has fond memories of my childhood. St Mary’s Island at the top of Tynemouth beach. Solva in Pembrokeshire! Great for crabbing, regattas and having a few drinks in the a Welsh sunshine. Hartland in North Devon is beautiful, really nice rocky shoreline with a fab pub at the top of the cliffs that is dog friendly and serves properly poured Guinness! And Bournemouth beach is also lovely. My partner booked a surprise weekend away there last year, neither of us had been before but we found that the sand was so white it was almost unbelievable! And again, really dog friendly and clean. I think beaches with dogs are pretty much a necessity for me to like it. Balmedie Beach near Aberdeen. Bloody freezing even in the height of summer but dunes and wildlife and happy memories. I love beadnell beach in Northumberland. It doesn’t have masses of facilities bit it does have a virtual white sand beach. St Ives, Cornwall I think! I love standing on the wild amazing beach and looking up at Bamburgh Castle, Northumberland. Awesome. My favorite place at the seaside is in the amusement arcades either watching people loose their change or smashing buttons on a shoot-em-up. The sandy beach between my toes in sunny Bournemouth. Has to be Cornwall, all along the sea front, I just find most of Cornwall beautiful. We LOVE Brighton. The beach is great, and the resort is full of character. Silver Sands at Aberdour in Fife. I live near the beach, so if I’ve been away for a while, I just walk down to the beach in Worthing and breathe deeply. I just sit down and take stock while looking out to sea. Whitby, because it’s beautiful, and ‘m a sad old Goth 😉 . Has to be my home town, Bournemouth – stunning beaches! Bournemouth has some beautiful sandy beaches! On sand that is dry! Staithes, where I live (North Yorkshire coast) is my favourite place at the seaside. I love visiting Torquay which is so scenic and love the beach there. I love the amazing beaches in Wales. Trebarwith Strand in Cornwall. There is plenty of sea, surf and seaweed in this beautiful cove. I love Bournemouth beach. Our kids love playing at the seaside. My favourite place at the seaside is Pool. Cefn Sidan in Carmarthenshire. 8 miles of unspoilt blue flag beach – just me and a million shells !!! I love Kynance Cove in Cornwall. Going to the beach and pier in Brighton is always fun!